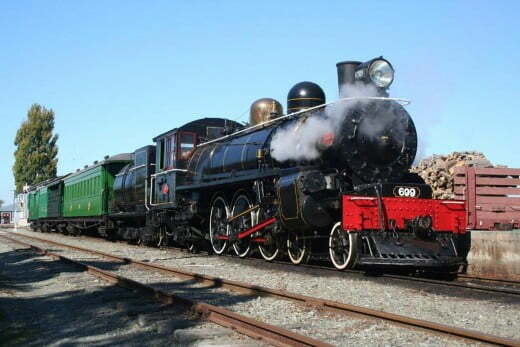 Find our cheapest flights to Timaru from Auckland and Wellington. 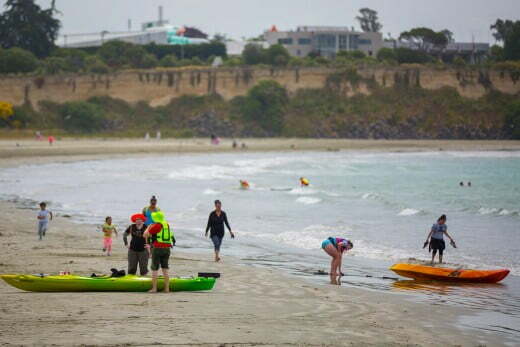 Timaru is the gateway to South Canterbury - a family-friendly destination that's marvellously close to the mountains. Nicely positioned between Christchurch and Dunedin, the port city of Timaru is an excellent place to land if you have mountains on your mind. West from the city is Aoraki/Mount Cook National Park - home of New Zealand's tallest peaks and the beginning of the Alps to Ocean cycle trail. Before you turn inland, take some time to explore Timaru itself. Built on the shores of beautiful Caroline Bay, this city has a collection of fine Edwardian buildings, some excellent eateries and one of the country's best rose gardens. If the sun is out, make sure you head to the coastal boardwalk for a gentle stroll. Another reason to linger in Timaru is the Te Ana Maori Rock Art Museum in George Street. Eight pieces of ancient Maori art are housed here, including a fascinating representation of the extinct Haast Eagle (Pouakai). If you're a mountaineer, local alpine guides can take you to high places - the climbing season is late October to mid-January. Inland from Timaru is the driving route that leads to Aoraki/Mount Cook National Park. On the way, be sure to pause for morning tea at Pleasant Point - the custard square capital of New Zealand. From here the landscape starts to get really interesting as you head up to the Mckenzie Region. This area was named in the 1850s for James Mckenzie, a Scottish shepherd who, with the help of his faithful dog Friday, regularly appropriated other people's sheep. He was New Zealand's most famous outlaw. When you reach Mount Cook Village, it's time for action. For starters, follow one of the mountain walking tracks that leads from the valley up into the peaks. Depending on the time of year, there's always the possibility of a snowball fight. If you're a mountaineer, local alpine guides can take you higher - the climbing season is late October to mid-January. You can also explore the Tasman Glacier in a boat, catch a helicopter tour of the alpine skies or start the six-day Alps to Ocean cycle journey that finishes in Oamaru. After exploring the high country, you can loop back to Oamaru via the Waitaki Valley. Along the way you'll see Lakes Benmore and Aviemore, the Elephant Rocks, a gorgeous church at Duntroon and more amazing scenery than you can stuff into your camera. Oamaru itself is a heritage delight - its spectacular Victorian precinct is full of quirky little shops, tasty eateries, museums and pubs. Oamaru also has a blue penguin colony - every evening at dusk, regardless of the weather, these enchanting little birds waddle up the beach to their homes after a day at sea. South from Oamaru are the Moeraki Boulders. Like giant bowling balls, these ancient geological wonders are scattered right along the beach. They're best viewed at low tide, but can be seen at any time. Moeraki is also where you'll find Fleur's Place - a rustic seafood restaurant that attracts people from all over the world. If you're visiting South Canterbury for snow adventures, July to September is best. For summer activities, most people favour February to April - that's when the long school holidays are over and the weather is still warm.